Traveling with my TGS eighth grade students to Ecuador was incredible in many, many ways. 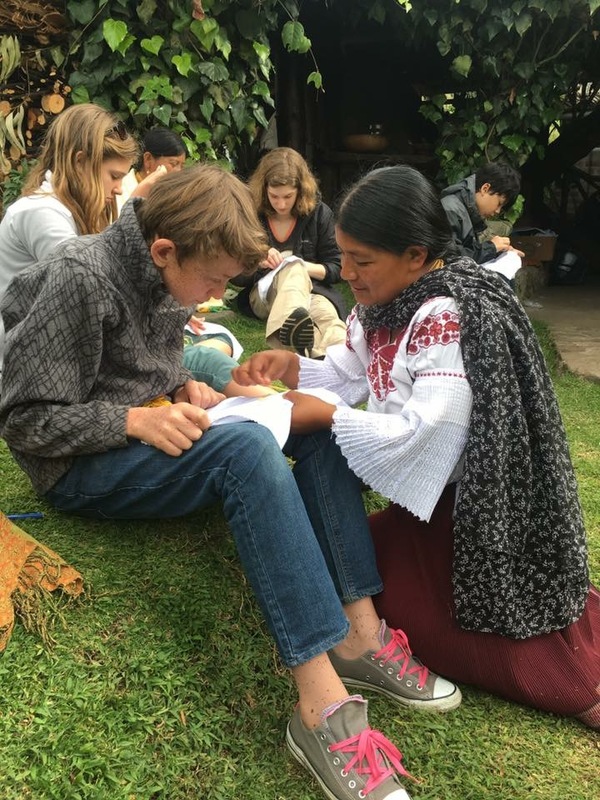 Yes, eighth graders to Ecuador! We had a fantastic journey, with experiences that changed our outlook on life and our understanding of what we are each capable of. We made memories that will last a lifetime. The trip could not have gone more seamlessly, from boarding the plane in Boston, having left TGS at 4 a.m., to returning from Quito via Panama City. It was an experience of a lifetime for me, as well as for my students. My co-chaperone, Charlie Boswell, a former student, a good friend, and a colleague at The Grammar School traveled with us. He is an EMT, he is incredibly organized, and he is athletic and thoughtful. I could not have asked for a better traveling companion and chaperone. He knew many of the 8th graders, which was a nice connection for them to have while being so far away – many for the first time. International travel with a group of peers is significantly different from traveling with one’s family. There were lessons to be learned every step of the way. 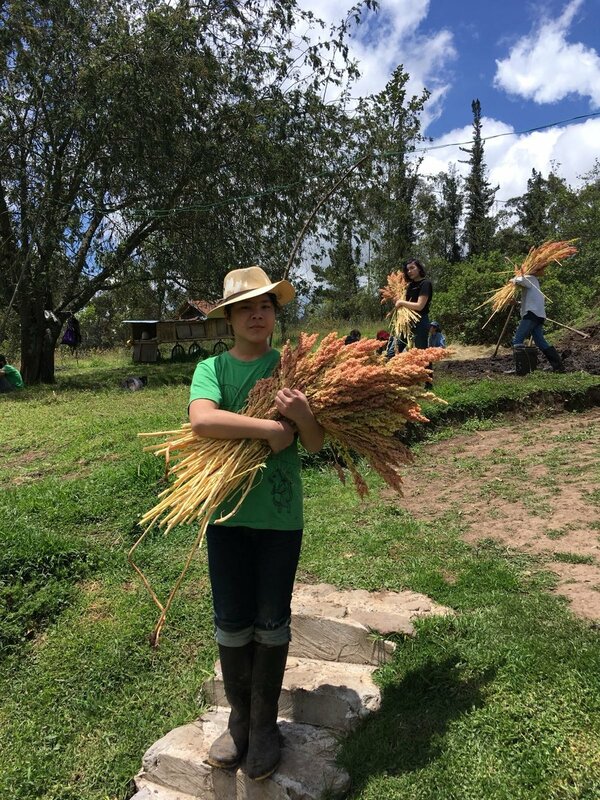 We flew into Quito and it was a 20 minute bus ride to the farm where we worked and learned. 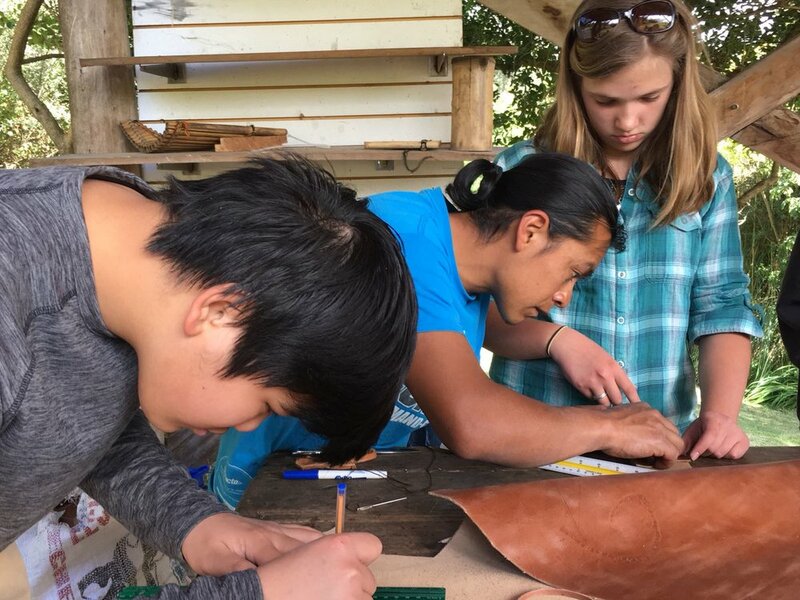 We had some classroom time, to hear about indigenous cultures and then we all had a two-night home-stay in a home of people from San Clemente. These are indigenous families, who dress indigenously, and who eat and farm in traditional ways. It was amazing to see my students cooking over open fires, leading Alpacas, and chopping wood. What an experience! They milked beautiful Brown Swiss cows and fed the calves. A Minga is an organized workday, when everyone gathers to help an individual, or a community, accomplish a task. This year, the TGS students helped mix dirt, hay and water to make an adobe mud for the walls of a casita. They learned the proper way to use machetes to chop the stiff hay necessary for the strength of the wall. We cleaned glass bottles that were placed into the mud on the walls for light and beauty. 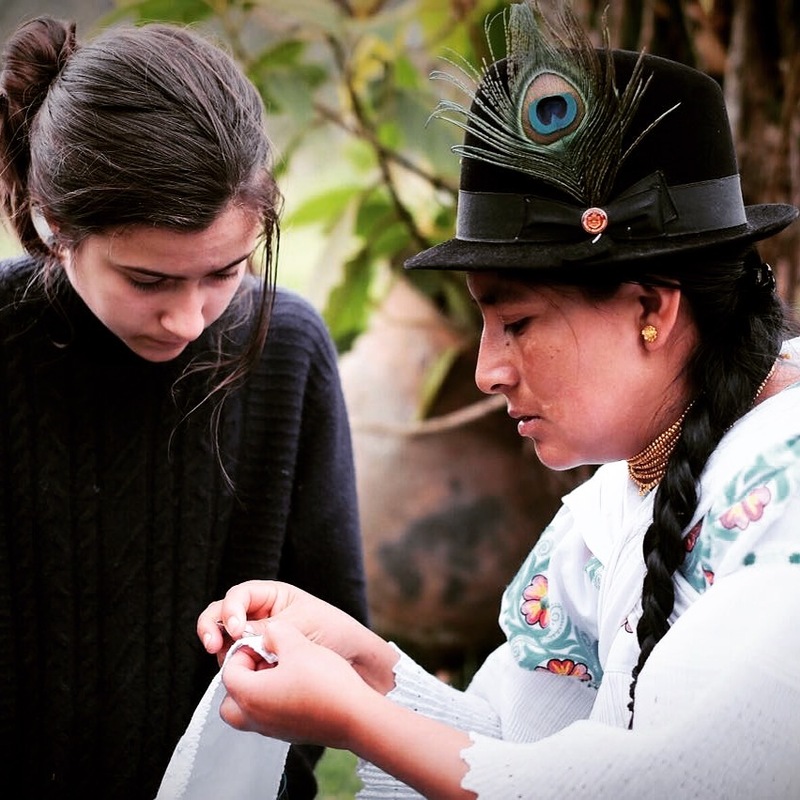 Students harvested Quinoa and learned to embroider. Everyone in San Clemente, men, women and children, embroiders and their lovely and colorful designs appear on blouses, shirts, belts, napkins, towels, and dresses. All TGS students created a design and were taught how to embroider by their home-stay parents. This was another gift we were given: a creative activity that connected directly to our host Mamas and Papas. Ecuador is lovely, and it has more biodiversity that most places on earth. We were in the Inter-Andean Valley, very close to Quito, so we did not make it to the coast. All of the students hope to return to Ecuador to experience the coast, the jungle, and the cloud forest, and, perhaps, even the Galapagos. We did hike down, into a cloud forest on our way to a hot springs, heated by geothermal waters. We all loved that! This trip was a life-changing experience for all of us. I like to quote the Gogi Abroad motto, when telling people about taking my TGS eighth graders to Ecuador: Go Outward- Grow Inward. We did both.